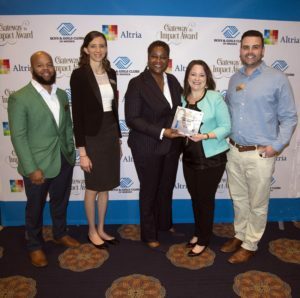 Columbia, Tenn. – After tripling the number of youth served in the last 24 months, Boys & Girls Clubs of Maury County was honored on Feb. 21 during Boys & Girls Clubs of America’s Southeast Leadership Conference in Atlanta, Ga. The prestigious ‘Gateway To Impact’ award recognizes Clubs who’ve significantly increased attendance, factoring in both daily and annual participation as well as overall performance. Boys & Girls Clubs of Maury County took home the top honor for the entire thirteen-state southeast region of Boys & Girls Clubs of America. Late last year, BGC Maury expanded its operation to include a Giles County location in Pulaski – a reality made possible through a generous, one-time BGCA grant. The Pulaski Club opened its doors in December 2017 and currently serves nearly 20 students each day. Prior to that, BGC Maury reached a Memorandum of Understanding in May 2016 with Maury County Public Schools to serve as its before and after school care provider. At the time, Club leadership had just three months to adequately staff and prepare for the influx in membership, opening 11 new “Greatness Academy” locations prior to the start of the 2016/2017 school year on Aug. 1. Today, BGC Maury operates 12 locations in addition to maintaining its flagship Teen Center and Wayne Street facilities in Columbia. More than 800 youth are currently enrolled in Boys & Girls Clubs of Maury County, an astonishing 200 percent increase since 2015. The Club’s mission is to enable all young people, especially those who need us most, to reach their full potential as productive, caring, responsible citizens. For more information about Boys & Girls Clubs of Maury County programs or its “Greatness Academies,” click here. 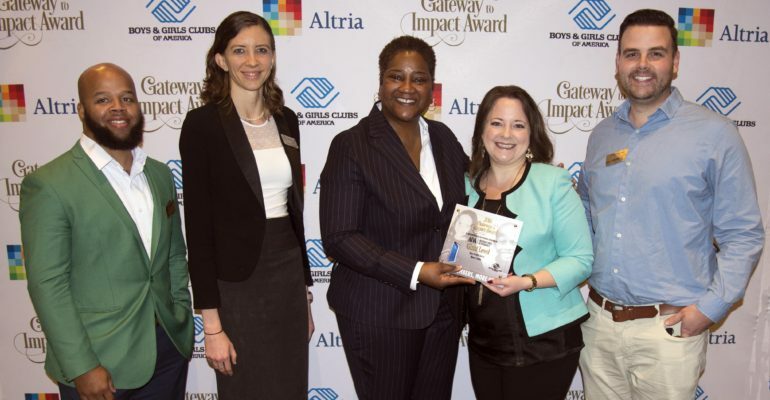 Pictured above from left to right accepting the Gateway To Impact award is BGC Maury Chief Operations Officer Pierre Covington, Resource Development Director Lauren La Porte, Boys & Girls Clubs of America COO Lorraine Orr, BGC Maury CEO Robyn Peery and Director of Programs/Spring Hill Unit Director Josh Campbell.